Quality Clear Multipunched Binder Pockets to accept A4 sheets. 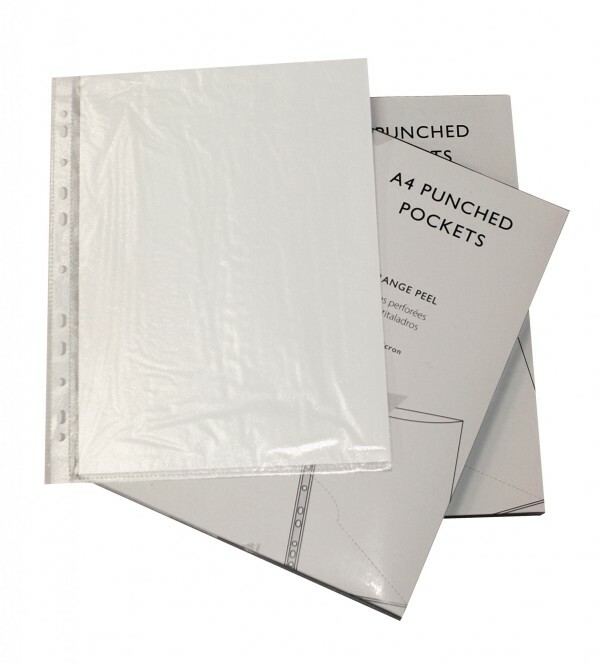 Multipunched pockets (punched pockets) are an ideal way of keeping documents clean, crease free, organised and secure. Punched pockets are available from stock, Portrait format in packs of 100.